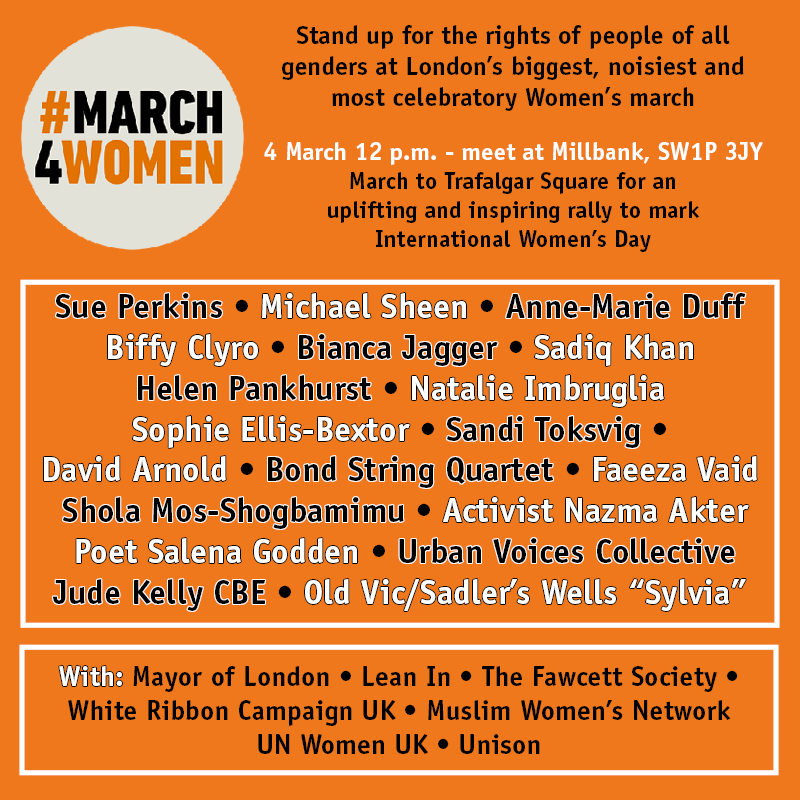 The 2019 #March4Women International Women's Day event will be held at Westminster Central Hall in London on Sunday 3 March 2019 at 2.15-4.15pm. Further details will be added to this page as soon as they are confirmed. 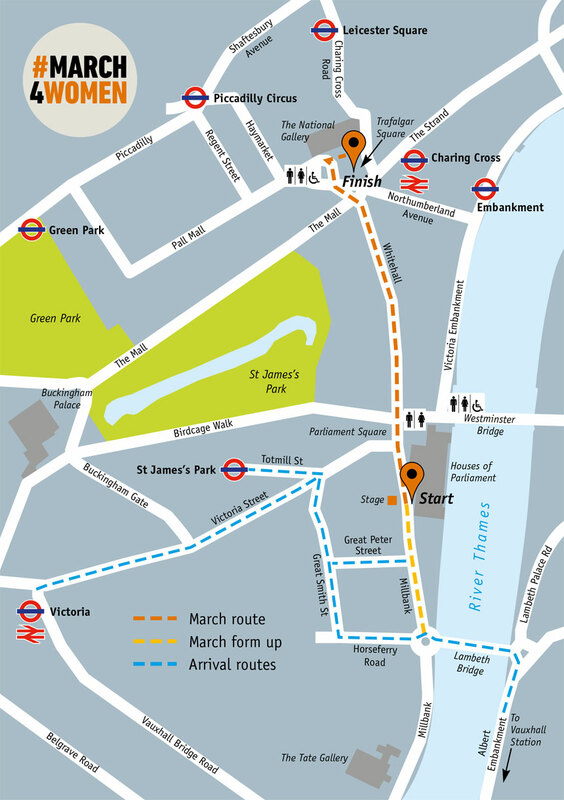 Read our report on the #March4Women march from Parliament Square and rally at Trafalgar Square on Sunday 4 March 2018.​ A map of the march route and details of speakers at the rally are given below.